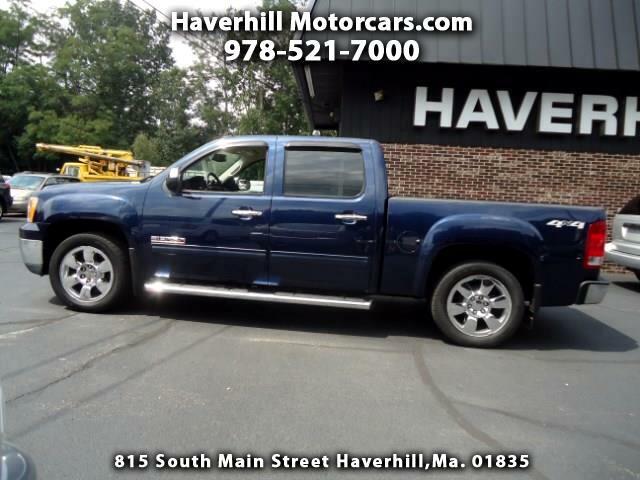 Used 2011 GMC Sierra 1500 SLE Crew Cab 4WD for Sale in Haverhill MA 01835 Haverhill Motorcars, Inc.
2011 GMC Sierra SLE crew cab. Leather interior, 20 inch factory wheels, chrome package, back up camera, and more! This is a very clean truck! It's very sharp looking too! It has been serviced, and it runs and drives out great! If you're looking for a crew cab truck, this one is worth a look. CHECK IT OUT!! This Sierra looks, runs and drives better than others with half the miles! Fully serviced and needs nothing but a new home.